Karel Kovarik was born on March 27, 1942 in Czechoslovakia. In 1967 he graduated from the Veterinary Faculty in the University of Veterinary Medicine in Brno. From 1968 to 1976 he developed poultry biological products at Bioveta, Ivanovice-na-Hane, CZ. One of his research areas was Mycoplasma antigens. In 1976 he joined the Veterinary Faculty in Brno, where he studied metabolic disorders. In 1978 he became Head of the Bacteriology Department of the Brno State Veterinary Institute. He promoted, in particular, studies on salmonella, mycoplasma and pasteurella infections and research into decontamination of granulated poultry feed by organic acids. He became Director of this Institute in 1991, and held this position until 2002. Dr Kovarik also served as an FAO expert from 1983 to 1986 at the Serum and Vaccine Institute, Mogadisho, Somalia; and as microbiologist expert in 2002 for a field military hospital in Afghanistan. From 2003 to 2014 he was Editor in Chief of the Journal of Veterinary Medicine and Veterinary Clinic, where he supported articles oriented to poultry. In 2015 he was nominated Head of the Institute of Veterinary Medicine History, at the Brno Veterinary and Pharmaceutical University. He is a member of the Czech Academy of Agricultural Sciences, a section of the Microbiological Society. He has published 62 scientific articles in professional veterinary journals and participated in many international conferences. 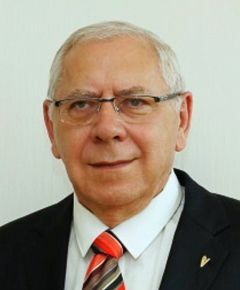 In 1993 he was elected President of the Czech Association of Veterinary Medicine and since 1996 to now (2017) he has served as the Corresponding Secretary of the Czech Branch of WVPA. He initiated the annual scientific meetings of the Czech Branch of the WVPA and WPSA in the early 1990s. Since then, and up to the present years, these meetings became significant for a wide range of professionals in the poultry industry, including scientists, veterinarians and pharmaceutical companies worldwide. Dr Kovarik succeeded to attract renowned scientists from all fields of the poultry industry to these meetings. His contribution to the Czech poultry industry is known and highly appreciated. Dr Kovarik is also a very friendly person.